The basic FitTrace edition is free. The Premium edition offers additional features. Find a participating FitTrace DXA operator here and schedule a body composition scan. Scans are sent to your FitTrace account or provided on a CD, which you can upload to our site. Log on to your FitTrace account to view, analyze, compare, and track your results over time. 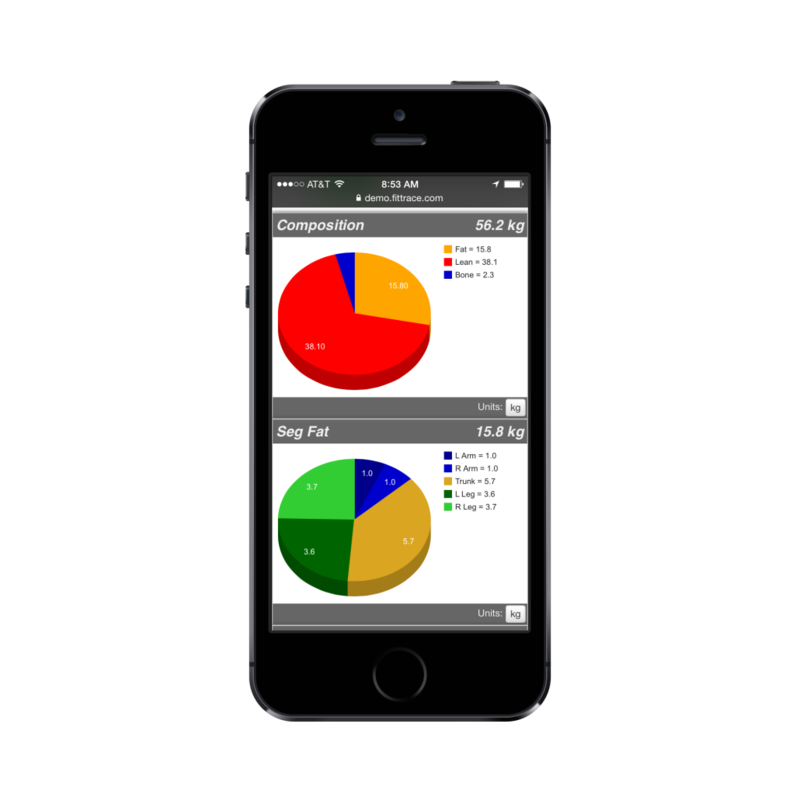 Access and Analyze your Body Composition Results anywhere, anytime. The FitTrace body composition app and website sync automatically, so you can access your body composition results anywhere, share with your friends, and establish bragging rights. Join thousands of others already receiving information about how to lose fat, build muscle, and feel better. Enter your email below.